Entrepreneurs who turn to the University of Montana’s business incubator have long found advice on vetting an idea, writing a business plan, or seeking the capital needed to launch a new line of products. But along the way, Blackstone LaunchPad has quietly compiled a growing body of legal advice, from safeguarding intellectual property to forming a limited partnership, a limited liability company or a domestic profit corporation. Three years later, the evolving program has helped dozens of upstart business owners minimize their risk while getting a friendly head start without breaking the bank on costly legal counseling. 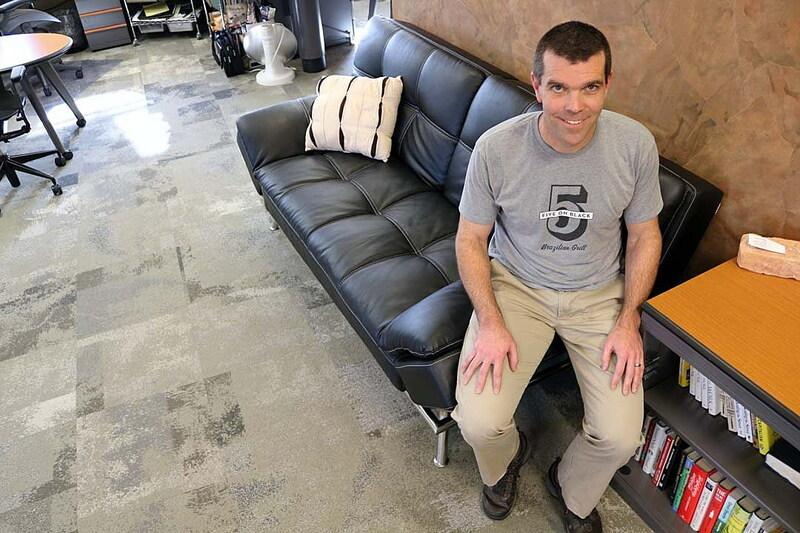 Founded in 2014, LaunchPad at UM has registered more than 800 entrepreneurs, and several have gone on to implement a successful new startup, including The Dram Shop, Enlyten Labs, Geofli and Danceador. LaunchPad also has brought in volunteer lawyers to work with the entrepreneurs, as well as students at the Alexander Blewett III School of Law, who gain valuable experience in their future profession. Gladen has served as the LaunchPad director at UM since its founding. Shortly after the program opened, he reached out to Brown to test his interest in meeting with entrepreneurs to answer basic legal questions. Brown, who was a practicing attorney at the time, agreed and the pro bono work caught on. Other local lawyers joined the effort, including Joe Anderson, Sam Frederick, Joel Henry and Jenn Ewan. Those engaged in the program have entertained questions from every brand of business, be it an upstart Main Street shop or a high-growth concept rooted in technology or pharmaceuticals. As the program evolved, Gladen suggested working in conjunction with the School of Law. While the entrepreneurs get the legal advice they seek, law students gets the training they might not otherwise find in class. Brown called it a win-win and believes it has brought added value to the LaunchPad program. The result has enabled LaunchPad to compile something of legal library in which entrepreneurs can research answers to their questions. Many of those revolve around intellectual property, like patents or trademarks. They may also pertain to specialized areas of law, such as opening a distillery. While such advice can be costly in the real world, the program helps entrepreneurs save precious pennies as they move forward with their idea.